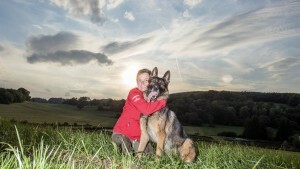 Monique Anstee is the founder and head trainer at the Naughty Dogge on Vancouver Island, but she was a dog lover and competitor first. She has represented Canada at Crufts in England, and holds top ten placements in Canada on all of her dogs. At the Naughty Dogge, her clients love her for her honesty, and her training is premised on the belief that pet owners should teach rules in order to give freedom—no dog should behave like a robot or have his temperament squashed. 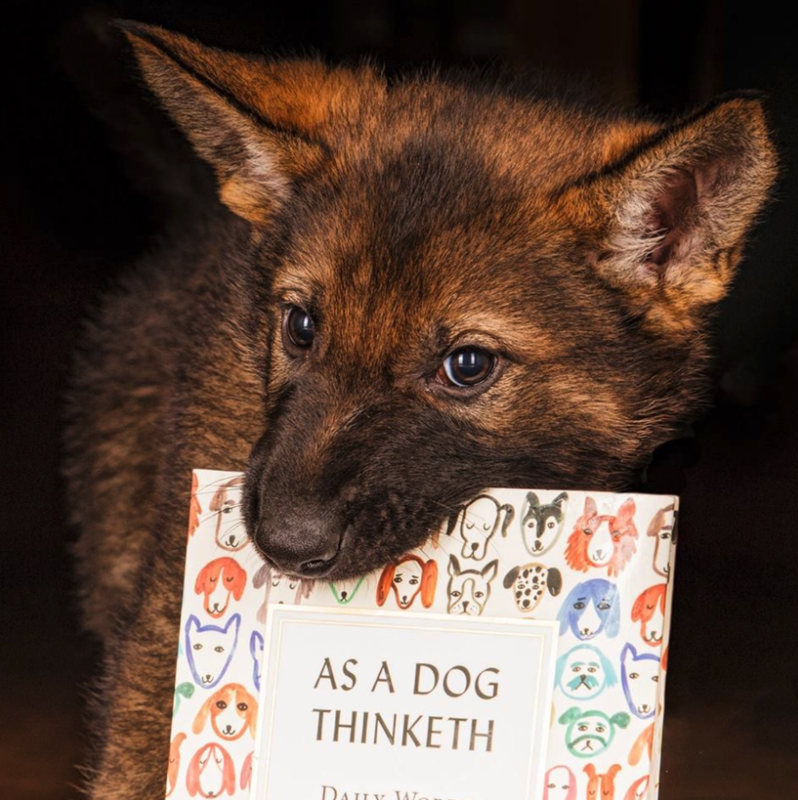 In her book, As A Dog Thinketh, Monique shares daily advice for how best to train your dog—and yourself. In entry number 283, she shares advice on troubleshooting puppy problems. This week I’ve gotten to share my home with two precious puppies from puppy class. Both were struggling and needed more. It reminded me of two things: how things might appear to be may not be true. And never underestimate the value of a nap. The first puppy had a rather furious temper. His temper improved during the course of the class, but remained far from acceptable. When this dog was in my household, he just morphed into one of my dogs. He looked and behaved just like the rest of my guys. His issue: his wonderful family felt bad about leaving him alone while they worked, so they kept him going from 3:30 p.m. until bed, at which point he was just exhausted. Because he was tired, he had no patience. Anything that irritated him was a reason for him to become unglued. In addition to some minor changes at home, I think naptime was his key. After a walk, after a game, after hanging out, he always got a nap in his crate, in a private place where he felt safe yet included. The dog he appeared to be in puppy class was not him. He was a darling, sweet wonderful puppy, who needed more rules, more frequent naptimes, and a wee bit more understanding. They got exactly the puppy they need for their lovely, busy family. The second puppy is the kind of puppy that I am drawn to, meaning, the rest of the world will probably struggle with her. I keep rubbing her forehead, in the hopes that her horns can sprout. She is a vixen. Smart. Busy. Conniving. Cunning. Manipulative. Loving for fleeting flashes. In puppy class we all admired her, and then gladly waved farewell. I always let every puppy sleep in my bed when they first arrive. Last night my dogs all hated me for my decision. I hated me too. Everything described in class was exactly as it appeared, yet worse. Only very rarely do you see dogs with this level of drive, tenacity, and determination in pet homes. She was a gleeful beast. With a smile, crawling in on her belly pretending to be so submissive, she annoyed all of us for two hours. We got kicked, licked, licked with teeth, then just teeth without the licks. We got jumped on, pounced on, then we had her little body hurled at us. At one point, she mistook my head and Pippa’s ribcage for a flyball box. You get the picture. No wonder her family is struggling! I think the fact that they are all still talking is a testament to their relationship! Through these two hours I was busy guiding her—and failing. Coaching her and failing. Training her and failing. Making her settle and failing. Giving her rules and watching her say, “You don’t want me to do THIS . . .” as she did it with six times the enthusiasm. Given my complete lack of success last night, I think I’m cheating tonight with beef chewies. If I can get her engrossed in a bone, or chew, I can consider that success! Though I am prepared that the bone might be thrown at my head. Anyhow, my long-winded answer is that if you asked me in puppy class which of the puppies was more challenging, it would have been the first, by far. And while I was seeing the second one in class, and knew that her horns would sprout soon, her level of glee at her wickedness was more than I expected. When clients are struggling, and you know they are doing their homework, sometimes you just have to live with the dog for a day to find their solutions for them. Things may not be as they appear, as was the case with both puppies. And never forget the value of naptime, which little vixen is getting LOTS OF. Wish me luck. Wish her family even more luck!